The 30th Anniversary of the Oorala Aboriginal Centre is an important event in the life of UNE. 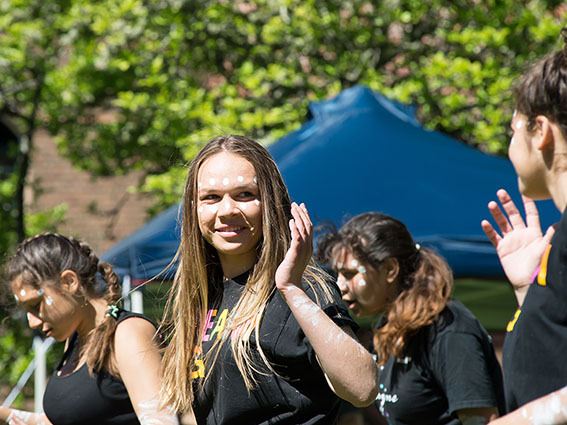 Oorala was established to provide cultural and educational support to Aboriginal and Torres Strait Islander students at UNE and to improve the participation, completion and retention of Indigenous students. Oorala has been a focal point for Aboriginal and Torres Strait Islander education at UNE, having grown from a relatively small centre, located in a demountable, to a modern purpose-built support and education centre. Over the last 30 years, the number of enrolled Indigenous students has grown from a mere handful to an over 800 on-campus and online students in 2017. The Celebrating 30 Years project successfully ran events from October 18 to November 30, 2017. The calendar included public celebration such as the Oorala Art Exhibition, the Sunset Opening Ceremony, the Oorala 30 Open Day and the Oorala 30 Closing. Over the time period and within the public events was the opportunity to showcase the student services & the ongoing projects and events that Oorala is involved in, such as the Youth Development Camps, the Oorala Indigenous Research Seminar Series, the AIME partnership, an inaugural Indigenous STEM Program Day, Experience Days. Alongside this the graduation of 21 Aboriginal and Torres Strait Islander students and the awarding of two Doctorates were examples of the success and respect UNE has for Aboriginal and Torres Strait islander education. 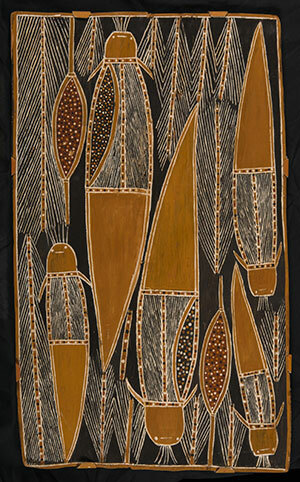 The Oorala Art Exhibition brought together practicing regional Indigenous artists with the UNE Art Collections, transforming the Oorala building into a cultural centre. The flag was raised with around 100 people present for the Sunset Opening Ceremony. Yet the jewel in the crown was the Oorala 30 Open Day where over 1000 people, made up of school children of all ages, teachers, performers, presenters, artists, UNE students and Staff, community members, Elders, volunteers and invited guests, all joined in a celebratory day across the Oorala Aboriginal Centre and the UNE Campus. The Oorala 30 Closing was about taking the time to give thanks all those who supported the events. Each public event attracted newcomers to the Oorala Centre who may not have normally ventured here, spread the word across UNE campus, Armidale and the region about the Story of Oorala, its purpose and its achievements, bringing the Oorala Aboriginal Centre into the forefront of more people’s minds. 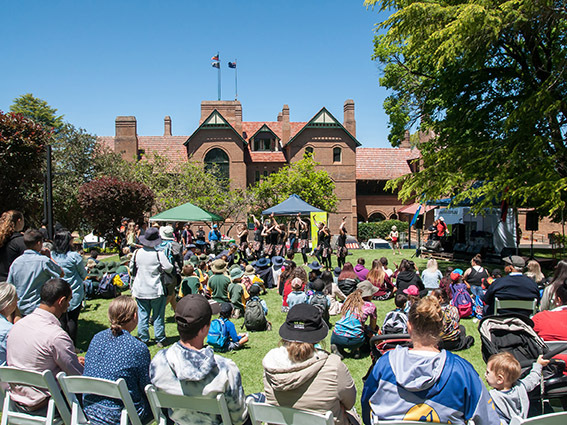 The following events were held across the UNE campus and Armidale during the Oorala 30 Celebrations. Brooke Kennedy - 2017 VC's Indigenous Research Fellow, was selected as a speaker for this event, a quarterly lecture series held by the Armidale UNE Alumni group. 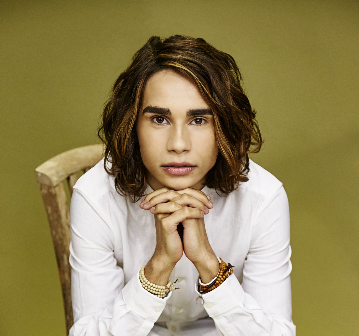 Celebrating 30 Years - a family friendly day showcasing the Oorala Aboriginal Centre featuring live music with Isaiah Firebrace and Roger & Buddy Knox, cooking demonstrations with Clayton Donovan, local dancers, workshops, markets stalls and many other interesting activities. An annual event held in honour of Mr Frank Archibald, a revered Aboriginal community member of the Armidale area. To be held at the Armidale Bowling Club. An Afternoon Tea, a thank you and more food.